Let me first start by saying that I am not an SDR expert and don’t claim to be. However, after one year as an Enterprise SDR, doing cold outreach 40+ hours a week, and absorbing content all day and every day, I would hope that I have learned what does and does not work when it comes to prospecting. I’ve learned so much from Heather Morgan over at Salesfolk when it comes to the SDR cold email. Her “hall of shame” is particularly helpful and lets you know what not to send. Also, one of the most informative sessions I’ve done was an in-person training event with Joe Thomas of Impact Advantage. I highly recommend checking out both websites. Instead of claiming to be an “expert,” I can only share the framework that I’ve found success using. Being an SDR is tough. Don’t get me wrong, we have a great marketing channel, but good deals come in when an SDR is highly targeted and can uncover a project that might not have revealed to us a potential supplier. Especially when their competitors are all using us! I know this post is about email, but I need to give a shout out to the phone real quick. Don’t solely rely on email. It won’t work. Here’s a statistic for you, our Sales Director gets about 200 emails for every voicemail…so let that sink in. Given the above context, my cadence is much longer than most SDR’s. My goal is to introduce myself/Esker and get you thinking about your goals for the upcoming year. If we just happen to add value where you recognize some room for improvement, then let’s connect! I definitely go longer than this and throw in some more emails if the target is net new or if I’ve had conversations with other folks at the company. This is my basic framework and if I can’t connect someone with this contact strategy, for what I’m selling, my time is better spent elsewhere. I’ve met SDRs that do cold outreach to people they just tasked out of Salesforce. Are you kidding me? Quit being lazy and put some thought into who you are reaching out to. This is my #1 tip to writing any cold email! It works for inbound – to do reactive follow up, but if you are just combing through a lead view in Salesforce for your lead generation, you need to do better. People want this silver bullet email template that they can plug into SalesLoft and blast away to the masses with a high response rate. You’re not going to find that here. You will find success if you choose your leads strategically. That sets you up for success far better than the diction you choose in your specific email. Pick a vertical or niche that you kill it in. Find the top 10 players in the space. Source buyer personas on LinkedIn. Prioritize companies based on trigger events and info/projects personas they have on their LinkedIn. Use elucify to find email domain and data.com for phone numbers. Choose if you want bottom up or top down strategy, and hammer away! "….but Nick, that’s not scalable. How will I hit my numbers?" Take a short lunch 5 days in a row, pick 3 verticals to go after, and you’ll have enough leads sourced to fatten up your pipeline. Then utilize the 10-80-10 rule for your e-mails. By keeping the meat of your message a highly targeted value proposition, and the intro call to action personalized, you end up with a scalable strategy that keeps a personal connection. Congrats your e-mail is now better than 90% of the B.S. that hits the inbox of your prospect. # 3: "What's in it for me? "/Why Are You Reaching Out? My first sentence in any cold e-mail explains why I’m reaching out to them, why now, and why they might care. To do this, I almost always reference a trigger event. Check out Hubspot’s article on 30 trigger events to get your gears turning. My favorites are to reference open positions. This means they have budget space and gives me a time sensitive reason to engage. Another key takeaway I love to use is the wording that they have on LinkedIn and in the job application. Speak their language, not your tech jargon. Reference a trigger event. Why should you be the 1% of emails they respond to? Speak their language, have a reason to reach out, and provide enough value that it’s worth their time to respond. This is probably the single best piece of advice that I received early on in my career. We brought in tech sales trainer Joe Thomas and this was his M.O. for cold email. Why do I love it? Because I used to be that guy that sent long emails that were all about me: my company, why you should choose us, and why we’re better than the other guys. Needless to say, the only sale I got that summer was a referral from a personal friend. HA! The high focus is everything that email is not. High focus on the buyer, limit “I’s”, and maximize “You’s”. Why you’re receiving the email, why you might care, and what’s in it for you. Arguably the most important component of my cold email is the call to action. My CTA is a simple, open-ended question that should engage the reader enough to elicit a response. My best tip to writing an effective call to action? Consider your end goal of the email. To educate? To get them on a quick call? Brief email exchange? And then keep it short and sweet. In my cold emails, the meat of my message – that 80% that is highly targeted based on role, always aims to tell a story. I’m trying to evoke an emotion and paint a picture that is relevant to them and their goals. 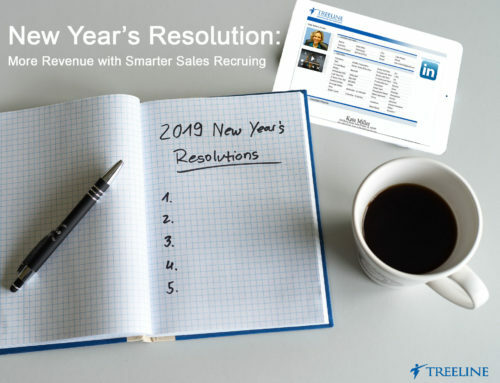 My message usually talks about why they should care according to their title, what they identify as goals for the year, and what their competitors are up to. It makes it easy to identify and target the message. If you were hoping for a data-driven post chalk full of templates that you can use to plug and chug, I have let you down. All I can do is share everything I’ve learned in the past year, what’s worked for me, and give you the head knowledge to go out there and create a framework that works for you. Cheers to the cold email! Now get out there and start building high-value sales opportunities. Our featured author is Nick Carpenter, a TCU grad with a passion for entrepreneurship and disruptive technology. Naturally, tech sales was a great fit to cut his teeth in the corporate world. Nick heads up the web strategy for the SDR Chronicles and as a guy in permanent beta, is always looking for ways to grow personally and professionally. Connect with Nick on LinkedIn.